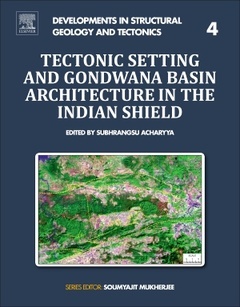 Tectonic Setting and Gondwana Basin Architecture in the Indian Shield, Volume Four is the newest book in the Problems and Solutions in Structural Geology and Tectonics series from Elsevier, and is a synthesized monograph on the tectonic settings of Gondwana basins of India. It is a unique book on a topic of national and international interest, especially given the economic importance of the region (coal reserves). The book is authored and edited by very experienced theoretical experts and explores and reconstructs unified stratigraphic research of the region, including the relative role of tension and lateral movement in basin formation. Basin formation is the driving force behind formation and break-up of supercontinents and the time frame of supercontinent cycles.